is honored on Panel 31E, Line 4 of the Vietnam Veterans Memorial. I have worn the POW MIA bracelet since I was in college in late 1967, when I graduated from college. This bracelet honors the bravery and sacrifices of Lt. Col. Louis Jones. I still wear this bracelet this very day and never, ever take it off. I still have Lt. Col. Louis Farr's POW bracelet. If his family would like to have it, I would be happy to send it to them. 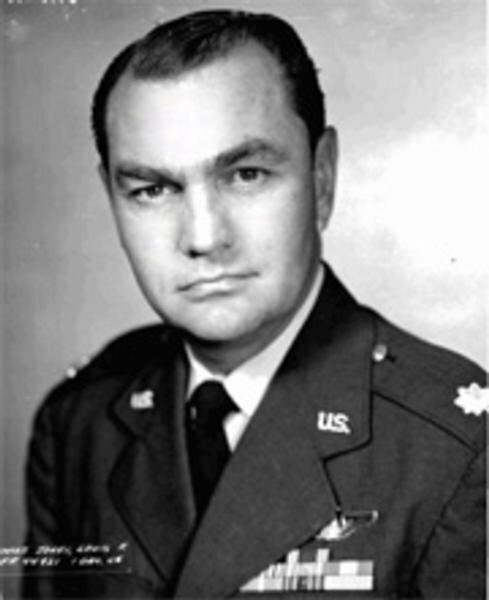 Colonel Louis Farr Jones, Served with the 558th Tactical Fighter Squadron, 12th Tactical Fighter Wing, 7th Air Force.